This week has just gotten away from me. I do have lots of things to share. Projects, pictures and my favorite Cupcakes! Friday afternoon, Zoe and I both needed a little pick me up. 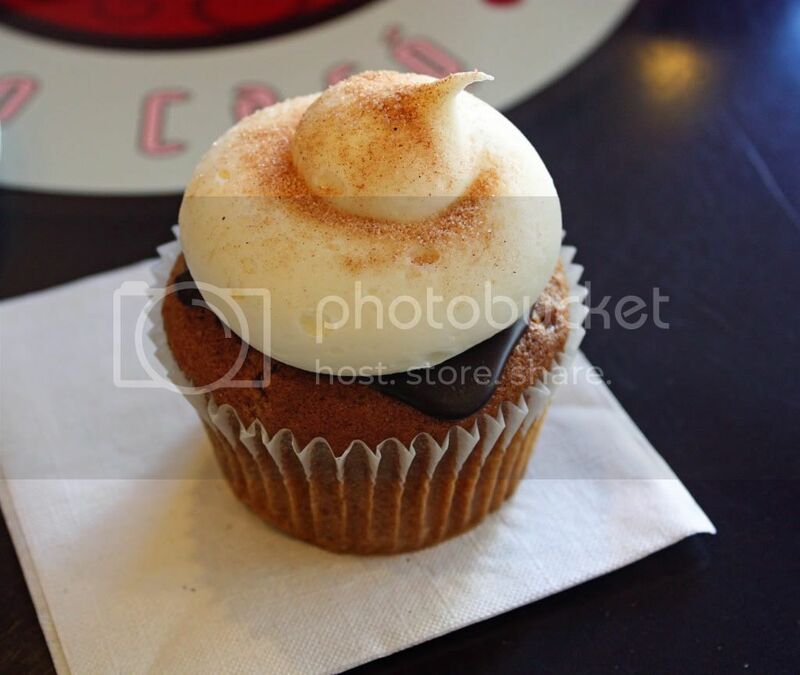 I made the executive decision it was time to go back to the cupcake shop. Not only did we have a nice little mommy daughter date, but we got to try 2 more flavors on our list! My new favorite, Pumpkin Chocolate Chip. a semi-sweet chocolate ganache glaze topped with cream cheese frosting. but she ate almost the entire thing. 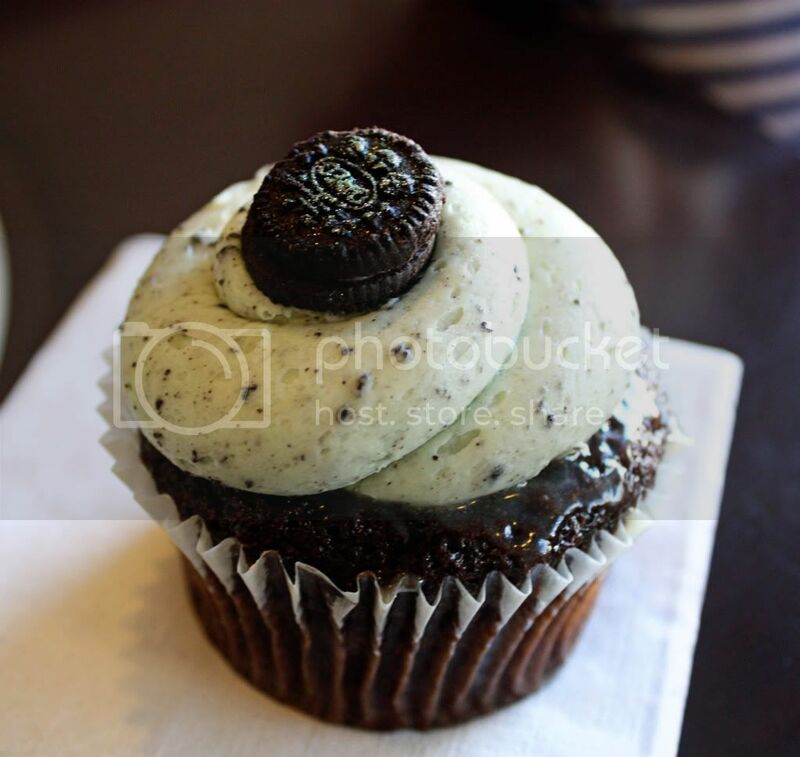 topped with a mint Oreo frosting. The mint frosting was a bit powerful, but the cake itself was yummy. 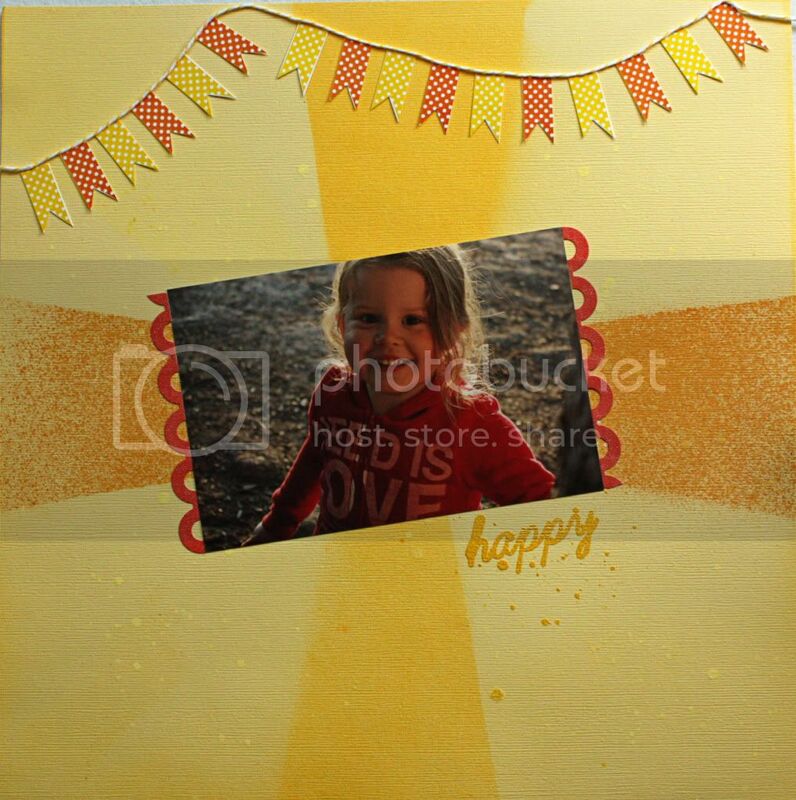 Next up, I made another layout with my September Polka Dot Whimsy Kit. I've been watching some YouTube videos about using mists and embossing techniques, since I have quite the collections of colors but don't always use them. For this layout I used three different yellow mists, as well as my AC mustard Zing. While I was embossing I discovered a fun technique. I stamped the word "happy" right after I had splattered some buttermilk mist on the page. I coated the area with my embossing powder, and it stuck to the not dry yet mist. I didn't want to wipe it off, I used my heat gun on it and voila, embossed splatter! I will definitely be using this technique more often, I love the raised look. Onto Halloween, I'm having the hardest time deciding what Zoe should be for Halloween. I'm not super into Halloween, but Zoe's preschool has a big party and they go sing at the old folks homes in the area, so I don't want her to be without a costume. Any Ideas? Those cupcakes look delish! And embossed splatter - I love it! Thanks for the chat today! PS I am dying for that cupcake!